At a conference recently I listened to several key leaders of our profession talk about the critical need for advocacy and their work in ensuring that languages are “at the table” through these efforts. I honestly applaud all efforts that advocate for language learning. You see, I think languages are a gift, a look into another culture, another perspective. While we cannot all be a part of lobbying in Washington or at the negotiation table, I would argue that teachers hold the most critical role in advocacy. Every day, students leave our classrooms with opinions of who they are as language learners. It is in our classrooms that our students find success or not, they grow and can examine that growth in terms of proficiency and not an imaginary standard of perfection. We build a case for language learning or not. Our practice and examples of student success leave students and their parents enrolling in the next course or looking for a loophole. And here we are again with the pressure on you the teacher. You can incite a revolution that supports language learning from your classroom. 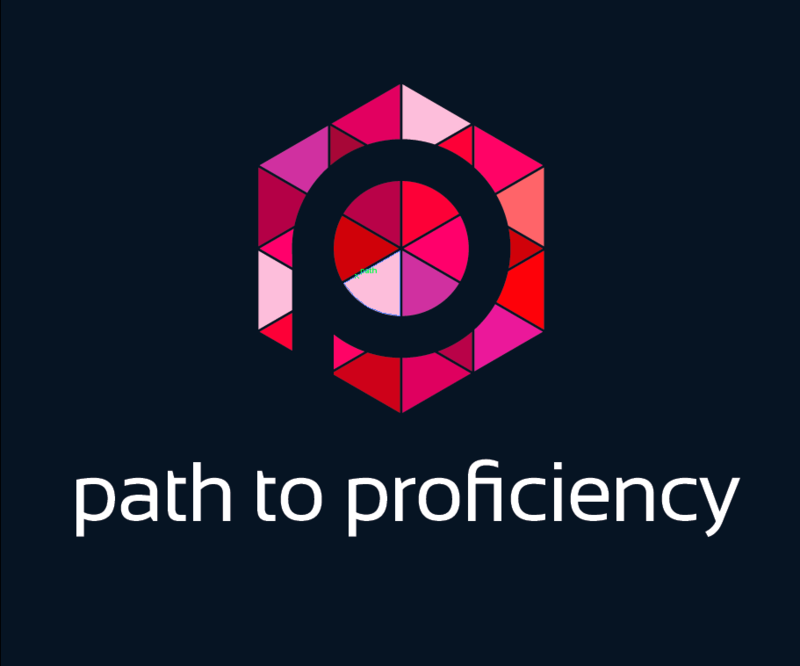 There are many of us across the US and if we banded together with similar goals for proficiency we could elicit major changes in language learning nationwide. What if I told you there was a key to our success and that I’d give it to you! Right here, right now… the key is nothing more or less than GROW! Be a reflective practitioner, focus on what you can control, and focus on what matters most – your students. Be reflective, not just over a lesson or unit but over your overall practice. If you were asked today what are your strengths and areas for growth as a teacher, what would you say? The Teacher Effectiveness for Language Learning (TELL) Project often clarifies the general education’s expectation for “best practices” by applying a content specific lens to the behaviors. The TELL Project helps you be the best reflective practitioner you can be by providing a self-assessment for every domain of the framework. So you can examine your practice through the lens of any of the seven domains: Environment, Planning, Learning Experience, Performance and Feedback, Learning Tools, Collaboration, or Professionalism. If you want to take a wider view of your overall practice, use the Foundational Criteria Self-assessment to get a view of your overall practice. The reality is, as long as you are honest with yourself, you can grow! There is no failure until you refuse to learn and grow. Use evidence when you reflect. If you think you do a certain criteria well all the time, what evidence do you have to support that rating? We all inevitably overestimate how often we do things. It is not until we watch ourselves through that filter that we get a true picture of what we actually do. If you were looking at how much target language you use in the classroom, step one would be to video tape yourself. Oh, I understand the aversion to videotaping yourself or watching yourself, but be brave. No one has to see it but you. When you watch it, first time how often you talk (get a total number of minutes) and then go back and time how much time you actually spoke in the target language. Divide them out and you’ll get a percentage. Is it where you want to be? Could you do more? Where is the low hanging fruit per say. What do you do some of the time but not consistently? THIS is where you start. I like to call them bubble skills, almost there but need a bit more attention and practice to become consistent in our practice. What ever you decide to work on, EVIDENCE matters. You are a wonderful person, this one moment of time in your practice does not make or break it is merely feedback, evidence. This evidence allows us to improve. The truth is … WE CAN ALL IMPROVE – IF and only if we use evidence in our reflections to keep us rooted in practice and not opinion. In talking to teachers or other supervisors about the perceived barriers to EPIC practice it never fails that I hear a litany about the kids not caring, lack of resources and time, lack of support. Ironically most of these things are hugely out of our control but all interrelated. If we focused on what we can control, I bet we could shift those issues. So what can we control? We control our instruction and our practice. We must own them and hone them. We cannot control which students walk through our doors but we can get to know them and form relationships of mutual respective. We can honor the gifts they bring with them to the classroom and in our content area they are gifted code switchers already. Yes I said it, our students are very gifted language learners – ALL OF THEM. They know how to change register based on who they are speaking with and no one has taught them that. In fact ask them what register is and they will probably have no clue, or describe a cash register. They have sophisticated codes for communicating with friends and family that probably differ from how they communicate with authority figures. They bring a wealth of conceptual language learning knowledge about which they are not even aware! WE get to tap into that resource and help them expand, add new code. Choosing to see what students bring to our classes and forming relationships ARE within our control and are the basis for build trust that is critical in output. We CAN control what methods we choose to use. We CAN control how we assess and the kind of feedback we offer. We CAN control how we make kids feel in our classes. Maya Angelou once said “I’ve learned that people will forget what you said, people will forget what you did, but people will never forget how you made them feel.” Truer words have not been spoken. THIS is true advocacy. How do students feel when leaving our rooms everyday? This is advocacy at the micro-level because kids talk. They talk to friends, they talk to parents and family members, they talk to their favorite teachers….and those people talk. When students are successful, people support them and encourage them and push them. When they feel helpless, defeated or like failures then those who love them try to protect them and make them feel better. When these messages are ongoing and regular, they do not help our classes or programs. When kids struggle in our classes they feel much like I do when I struggle in Crossfit. I want to be invisible, but at the same time I need encouragement and positive reinforcement. When I get caught up focusing on what I can’t do, I need help to see what I have already accomplished and encouragement to keep working. Without this support I would give up, much like our students who get frustrated with language learning. When I get to that place, it is the community of Crossfitters that keep me going back. Learning is a messy process. We cannot control who will get it the first time but we can control the messages we send students about the process. We can control effort we put in to developing a the community of support. We can control the opportunities we offer students to succeed. Do we offer one shot experiences or do we offer students the opportunity to improve and refine their work if they are not successful in that one shot? Focusing students on performance growth is important. Language learning is skill building at the same time it is an achievement. There is probably not one right answer if we are asking the open-ended questions demanded by performance assessments. This is beautiful and could be terrifying at the same time. We must help students identify growth and improvement. Language is a “you vs. yourself” kind of challenge. Did you do better than yesterday? How can you ensure you build on that other performance to improve today? Students first need to know what proficiency and performance are and how they relate to what they are learning. We should teach students to self-assess and peer-assess. This can shift ownership for performance back to the students and provide insights they haven’t had before. It personalizes feedback and shifts control of grades from being teacher directed to being driven y student practice. It is evidence based and not judgmental. It allows us to be clear, specific and supportive while encouraging growth. No one are students defined by the number at the top of a paper, the score is just a step in the process. This can only happen if we focus on growth by regularly having students reflect over their performances in comparison with course targets. Focusing on growth allows all students to find personalized success in the language learning process. When students succeed, adults support. Share their success and share your methods. This is advocacy. Advocacy is critical to the future of language learning and the support we see. While non-educators lobby and petition the powers that be, we must remain focused on the business of language teaching and sharpening our saw. We have to demonstrate that these are not classrooms of old. We must demonstrate that we are focused on usable proficiency in the target language for real-world purposes. So many of us are working on this. It is a messy process but nothing more worthy of our time and energy. It is fun to get behind an advocacy campaign and its necessary. We cannot let it however detract from our focus to grow as performance driven educators. Each and every day our students leave our classroom with a message about who they are as language learners. What message will your students take away? I remember a conversation in which I was advocating for me and my fellow language teachers and the need for extra funding for better tech (projector, doc cam…this was about 10 years ago…). The administrator listened to my arguments – language learning prepares you to be a global citizen, that for students to access people and a culture that they lived far from, to use the language in context – intently, and agreed with me. He said that additional funding would be warranted. He then said something that took the rug from under my plea: My daughters in (so and so’s) class have certainly not had that experience. You don’t need any of those things to fill out a worksheet. My funding request was denied. I can’t tell you how many times I hear administrators say things like this or have similar experiences! Thanks for sharing!